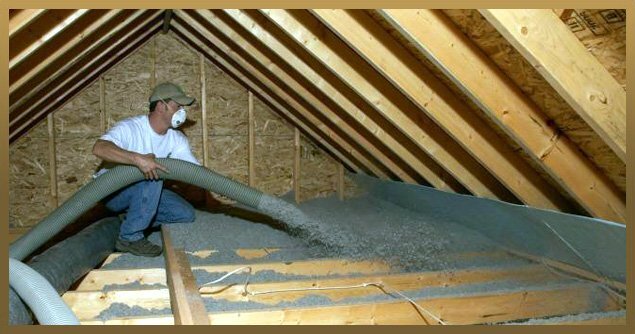 Attic Insulation is fairly self-explanatory as it either involves cutting out & rolling fiberglass batts and fitting them in between the ceiling joists. Blown attic insulation is far more effective, however, at blocking heat flow as it completely covers the ceiling joists, which otherwise radiate heat, forming a seamless blanket of thermal protection. 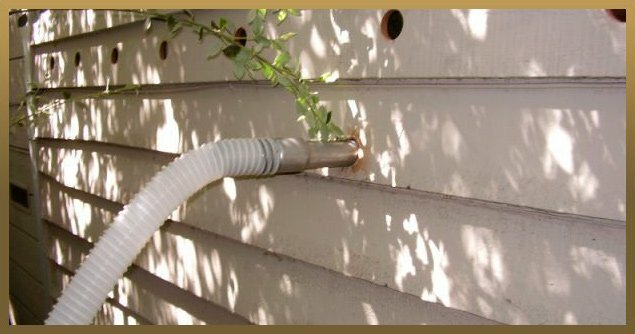 Exterior Wall Insulation is far more difficult and involved than attic insulation, as it involves drilling 1.5” holes around the perimeter of the home between the studs so that each cavity can be separately filled. Two holes (or 4 for a two story wall) are drilled for every 16” of wall space as studs are spaced 16” apart and include a horizontal firebreak approximately half way. 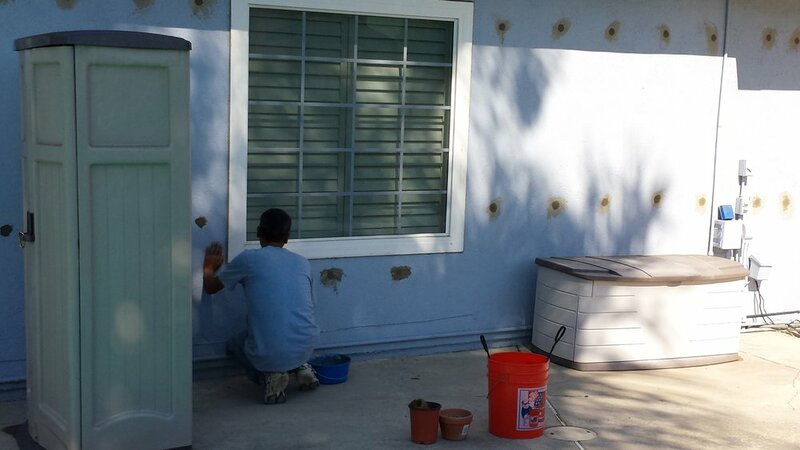 What makes Guardian Insulation different from other insulation contractors in Southern California is after insulating the walls the holes are patched and painted to their original texture & color to hide any evidence of the 100+ holes that were drilled. The standard practice for insulation contractors is to only insulate walls immediately prior to the homeowner finishing, painting drywall or putting up new siding or stucco, as patching and even sealing the holes is left up to the homeowner. 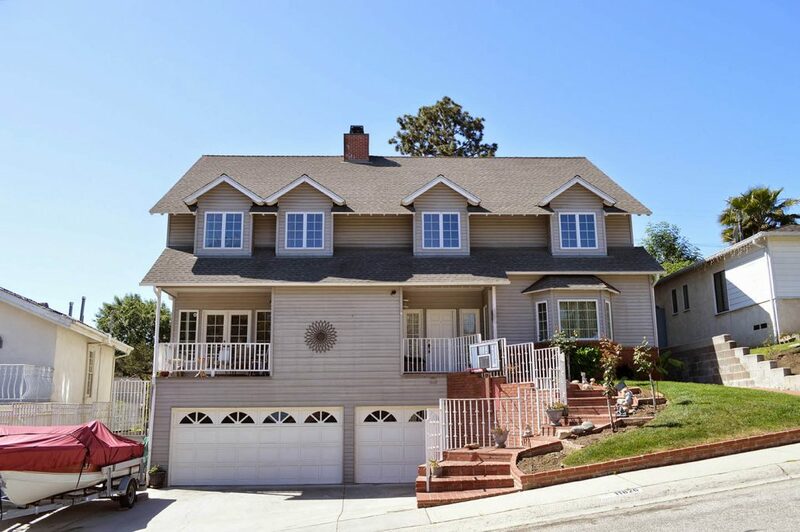 Our texture & color matching is guaranteed for the life of the structure. Cathedral and Flat Ceilings can most often be accessed through the attics and bird holes which are on the exterior eaves. Special piping is used to blow the insulation between the rafters to fill each bay. Cross beams are seldom used in ceilings. Flat ceiling or cathedral ceilings which are inaccessible from the attic or bird holes may be drilled, patched and painted, through the ceiling, just as exterior walls.